Banarsi Pink Meena is one of the ancient style of meenakari and famous all around the world. 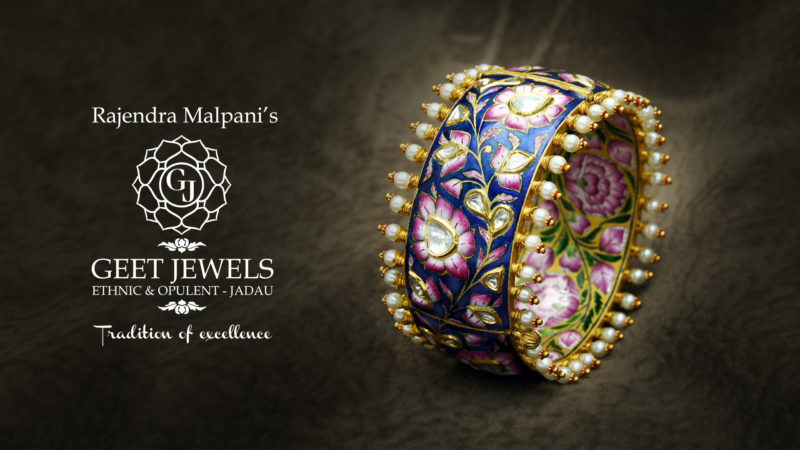 Geet Jewels handcrafted this 22kt gold bracelet, studded with finest quality of Polkis & beautifully adorned with banarasi pink & blue meenakari work that gives the touch of magisterial world. Jewellery crafted by Geet Jewels holds the aura of equsanimity & soothing grandeur. Geet Jewels, we have been efficiently serving the top-most jewellery houses and international brands for over three decades with a mission to provide quality products and services at competitive prices. Innovation in our products, rich experience and market study of three decades enables us to deliver customized solutions to cater to the fast changing urban jewellery requirements.